PC PAL have partnered with the leading IT training bodies to train our engineers in the internationally recognised CompTIA A+ and Microsoft Certified Technology Specialist (MCTS) training. Our training is conducted at our dedicated HQ head office training facility, which is equipped to train our franchisees in the skills needed to repair not just computers and laptops, but also smartphones, soldering and much much more. “ The accelerated courses is very intense, but it’s a good kick-start into the world of computer repair, and as with any new challenge you have to be prepared to work hard and get out of your comfort zone. The course tutor was very good and provided his email to send any queries to, and although the course is condensed it was done at brisk but not rushed pace. I found if I took the book back to my room at night I could “catch up” on what we’d covered during the day. All books, pens and paper were provided along with a small tool kit, so you don’t have to take anything. The venue was clean and bright, and all the equipment, computers, computers to take apart, tools, example spare parts etc. was all there. With coffee, tea, water etc. and biscuits provided free of charge in the common room, where there is also a TV. 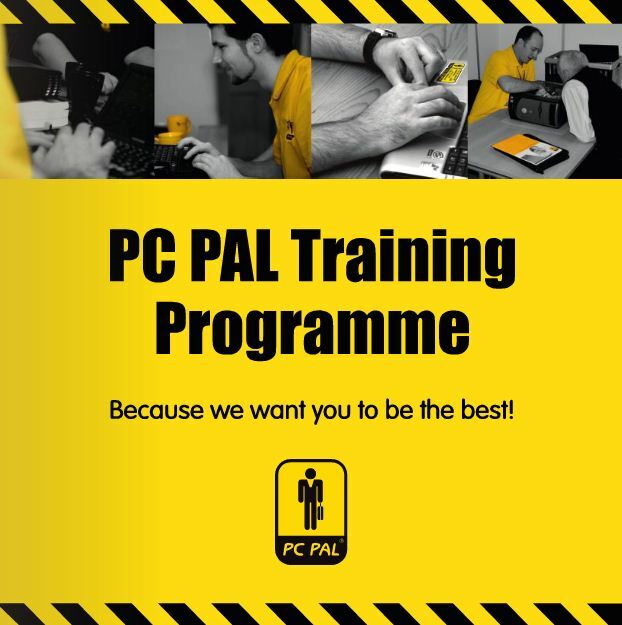 Our own PC PAL System Training Course is held at our Head Office where you will learn all you need to know to get your business up and running successfully. Our unique PC PAL Repair System is all about putting the classroom training into context in the real world. You won’t find this information anywhere else! We provide guidance and independent advice through all the stages of your application (we assign you a dedicated Franchise Recruitment Manager). We provide help with your business planning and seeking funding from the banks with whom we have strong relationships (including HSBC , Lloyds TSB, Natwest and RBS). Assisting you with the supply of EVERYTHING you need to start trading, including equipment, tools, parts, marketing, stationery, systems and more. We can also provide an accountant’s brief to sort out your limited company, VAT, tax and book-keeping for you. Providing launch PR, sending out leaflets in your chosen areas and providing custom advertising templates.